A week after a dam burst at a mine in southeastern Brazil, killing at least 115 people and leaving 248 others missing, new images and video footage have emerged showing the exact moment of the collapse. The failure of the dam on Jan. 25 — one of the deadliest mining accidents in Brazil’s history — unleashed an avalanche of red mud that also buried buildings and contaminated water downstream. The search for survivors has continued, though no one had been found alive during the past week. 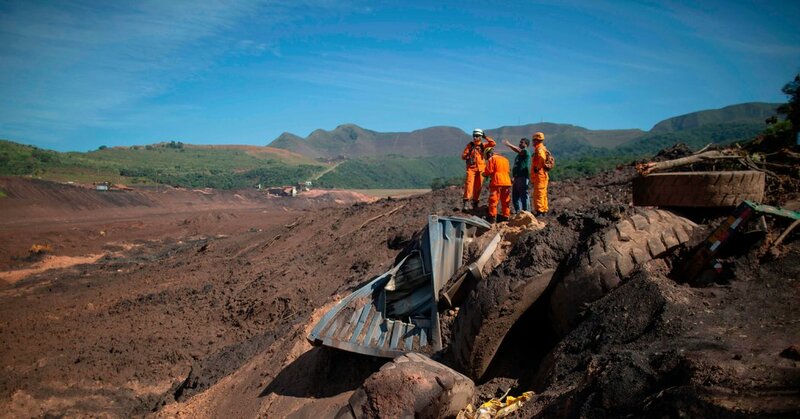 Rescuers have been digging deeper into the brown sludge that covered the mining town of Brumadinho. 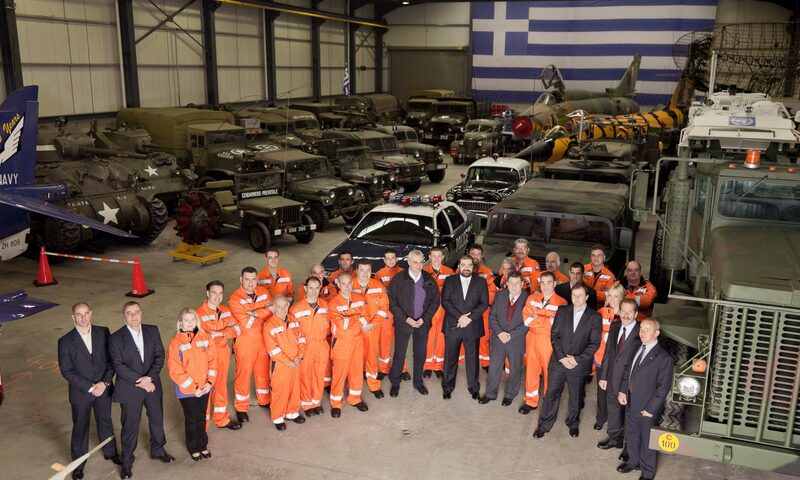 Some of the new footage appears to have been taken by cameras belonging to the Brazilian mining company Vale. In one video, a cloud of dust appears moments before the deadly surge of mud. Vehicles are seen racing around to escape, only to be buried in seconds. In another video broadcast on local television networks, cracks appear on the wall of the dam seconds before the 280-foot structure collapsed. That released 2.5 billion gallons of sludge that covered everything in its path. On Friday, civil service and police officers at the site paused their work for a memorial service in front of a cross planted in the mud. Helicopters overhead released flower petals onto the sludge-covered landscape. Relatives and friends of the victims walked through Brumadinho that evening. They set up an altar with flowers, candles and notes containing the names of the dead, The Associated Press reported. Vale, the company that operated the iron ore mine, pledged a $13,600 donation to each affected family that lived near the dam. Five people, including three employees of Vale, were arrested this past week as part of an investigation. The company promised to support the investigation. Although Vale said the mud from the dam did not contain dangerous levels of metals, environmental activists at the site reported widespread damage. According to Greenpeace, the nearby Paraopeba River turned dark amber from the mud and dead fish were rising to the surface. Villagers said they could no longer fish or bathe in the river. The disaster happened only three years after another dam breach nearby killed 19 people in the town of Mariana and unleashed one of the worst ecological disasters in Brazil’s history. It shed light on potential risks at nearly 700 other mining dams in the state of Minas Gerais and drew attention to what some described as a lack of appropriate regulation. Next PostNext Trump Sought a Loan During the 2016 Campaign. Deutsche Bank Said No.